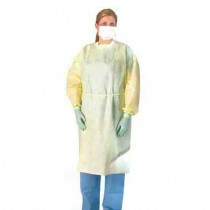 An Isolation Gown is the first defense for healthcare providers, patients, and visitors who spend time in a medical facility that faces the threat of emerging infectious diseases. Isolation gowns for infection control protect against infectious hazards in a medical work place. 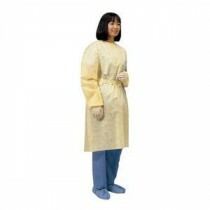 This piece of medical equipment adheres to the Centers for Disease Control (CDC) prevention guidelines for isolation during patient care and procedures. 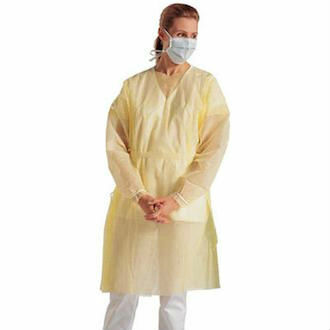 Isolation Gowns are designed to protect exposed body areas that may be in contact with bodily fluids, blood, secretions and excretions. 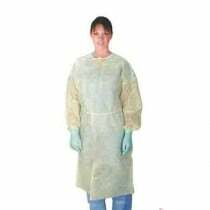 When you provide your staff with protective gowns, you are reducing the infection rate and protecting against cross-contamination. 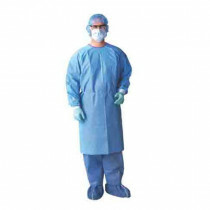 Reusable isolation gowns are also designed to reduce the risk of contaminating vulnerable patients, especially those with weak immune systems. 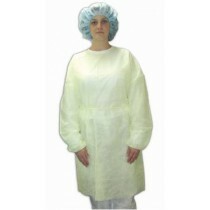 How Does a Yellow Isolation Gown Protect? 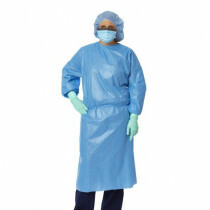 When there is a low to high risk of contamintaion it creates a need for protection against critical zones that regular surgical gowns cannot provide. 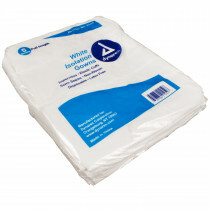 They feature liquid barrier seams and are designed to cover as much of the body to allow for appropriate protection, which is the intended use. 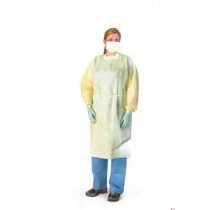 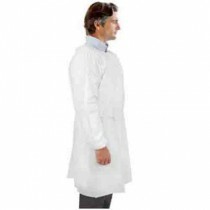 These gowns reduce the exposure to pathogenic microorganisms that are found in body fluids, blood, and other potentially infectious material, which can lead to occupationally acquired infections in your professional healthcare staff. 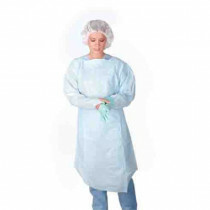 Most areas of the body are considered critical zones and require protection that is required to meet the highest liquid barrier protection level for each gown rating. 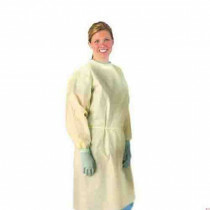 There are two standards required for reusable isolation gowns and disposable isolation gowns: the American Society for Testing and Materials (ASTM) F2407 and the American National Standards Institue (ANSI). 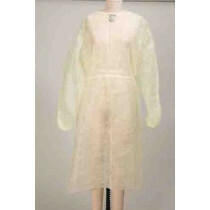 Each gown will be labled to show that the product has been tested to ensure quality performance. 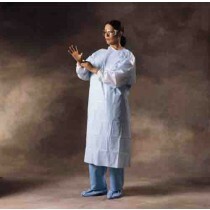 What are the 4 Levels of Association for the Advancement of Medical Indtrumention (AAMI) Standards?